He played. He coached. He officiated. And Van Wesley Peterman conquered them all. Peterman was well skilled in all three capacities, performing a high level over a long period of time in each category, the mark of greatness. Initially, Peterman was a top-notch athlete. 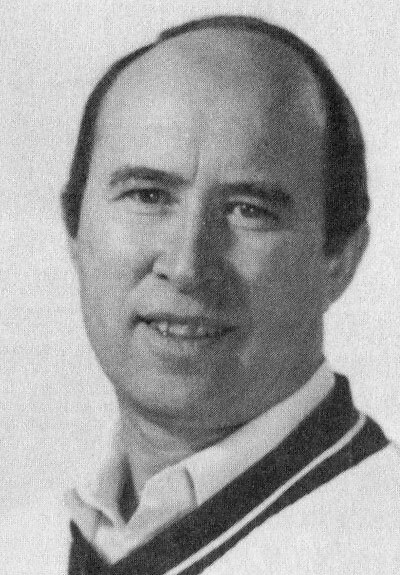 The son of Wayne County Sports Hall of Famer Wes Peterman, Van earned eight varsity letters at Rittman School, where he captained the baseball and basketball teams. As a senior, he was First team All-Wayne County League in both sports, and he led the conference in batting that year. And Peterman was both tough and talented enough to play basketball for a year at Ashland University under disciplinarian Bill Musselman. But baseball was Peterman’s passion. As he had done at RHS, the nifty infielder lettered four years at Ashland, captaining the team his senior season of 1972. He went on to play in both the AA Akron League and for Hahn-Frank for the next eight years. Long before he quit playing, Peterman had already stepped in to the baseball coaching ranks, knowing this was where he could contribute most to the sport and athletes. His first job was as a college assistant at Akron; his first head coaching position came in 1980 at Wooster High, after coaching the JV team for six years. Peterman guided WHS to new heights when in 1985, they were the No.1 ranked Class AAA team in Ohio by the media and he was selected as the Division’s Coach of the Year. He became head coach at Westerville North in 1986 and stayed there through 1993, giving him an overall mark of 224-151. Peterman served as President of the Ohio High School Baseball Coaches Association in 1990, while in the summers he managed three high school-aged teams to the CABA and NABF World Series (1990, 92-93). And in the winter Peterman never forgot basketball. He officiated the girls’ game for an amazing 26 seasons on the prep level, highlighted by calling the State tournament. Simply put, Peterman did it all, and did it all very well.